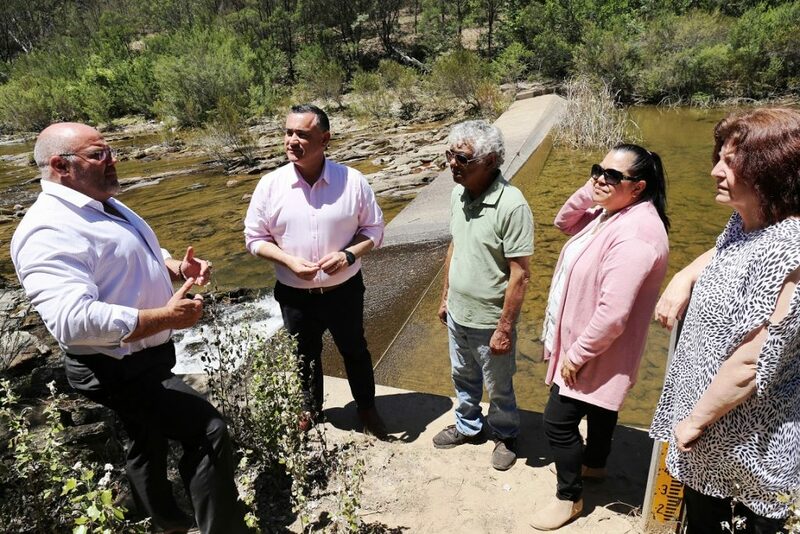 NLALC Board Deputy Chair Brandon Moyle, Deputy Premier John Barilaro, local elder Jim Williams, NLALC CEO Trisha Williams and NLALC Chair Raylene Robertson at the shores of the Queanbeyan River in Googong, nearby the site for the new building. More cultural events are expected for Queanbeyan’s calendar, with the Nationals in Government securing funding for a new amenities block at Ngambri Local Aboriginal Land Council’s event space in Googong. Deputy Premier and NSW Nationals Leader John Barilaro joined the NLALC to announce $75,000 in funding to complete the project. “The Ngambri Local Aboriginal Land Council have a terrific place in Googong, which serves as an area where they can teach local youth the importance of their culture through a variety of activities such as traditional basket weaving, plant species identification, respect and leadership activities and lessons on how to best nurture the land,” Mr Barilaro said. Mr Barilaro said the NLALC have a dedicated culturally safe environment, which is the perfect place for thought-provoking and culturally significant activities, but just needed this one addition. The Chief Executive Officer of the Ngambri Local Aboriginal Land Council, Trisha Williams, welcomed the announcement, saying the NLALC board were ecstatic when they heard the news about the funding. The grant is funded through the NSW Government’s 2018 Community Building Partnership Program, which has funded more than 13,800 community projects.